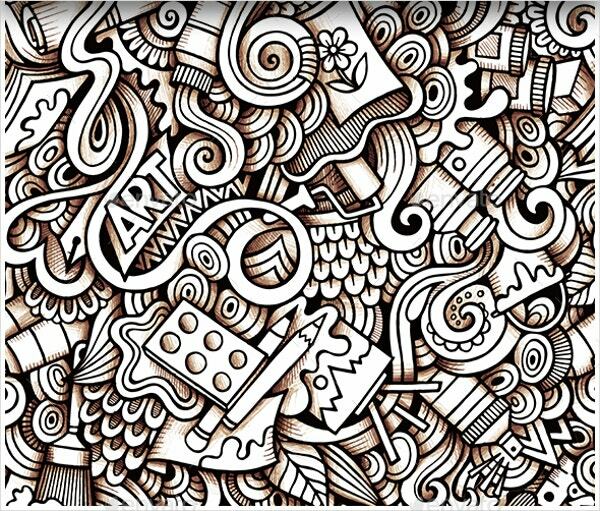 A doodle is defined as “an unfocused or unconscious drawing made while a person’s attention is otherwise occupied,” by Wikipedia. 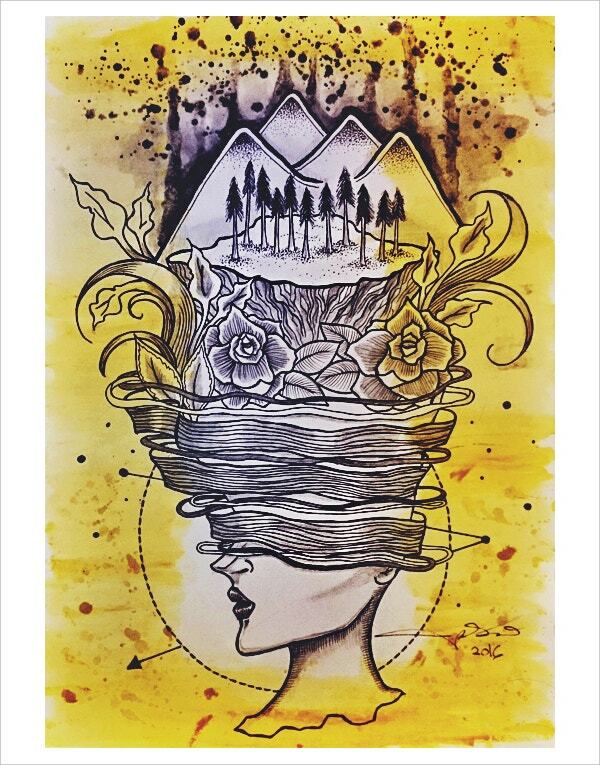 Doodles are simple drawings that can have a concrete meaning or they can just be some abstract shapes. 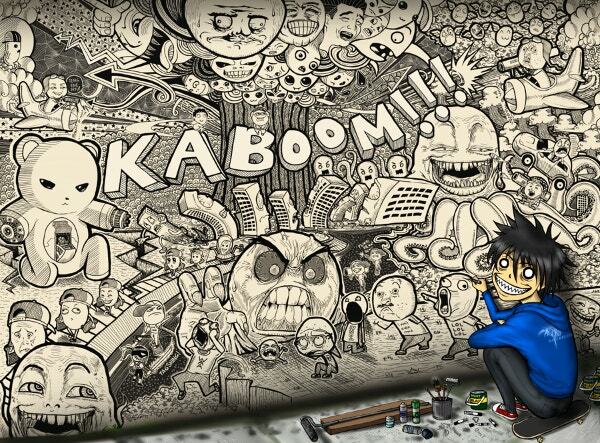 Doodling is a great way of expressing yourself through art. 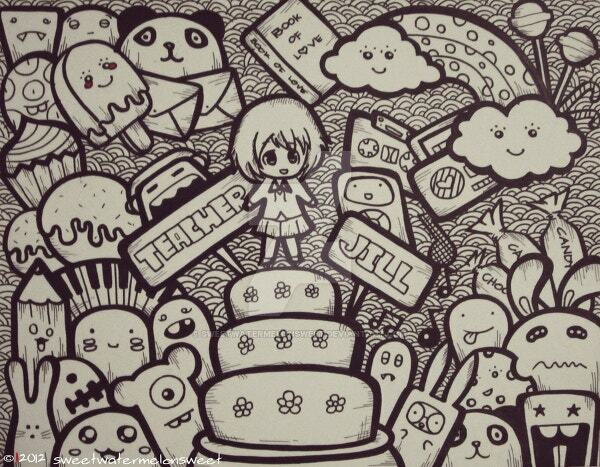 You can also see Doodle Art Examples. 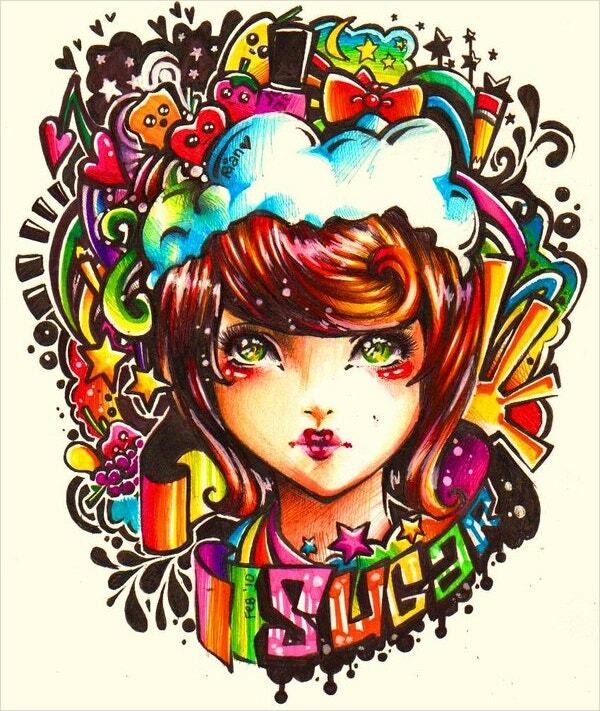 In this doodle art design, you can see a combination of letters and an illustration of various objects. 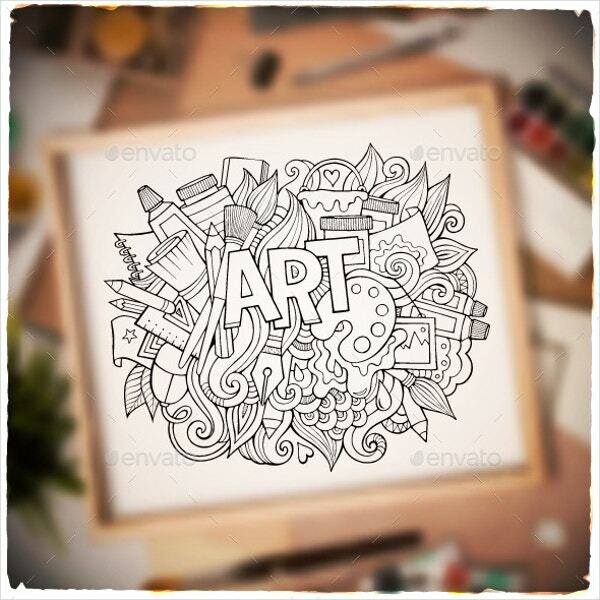 This awesome design can be used for various design or printing purposes. 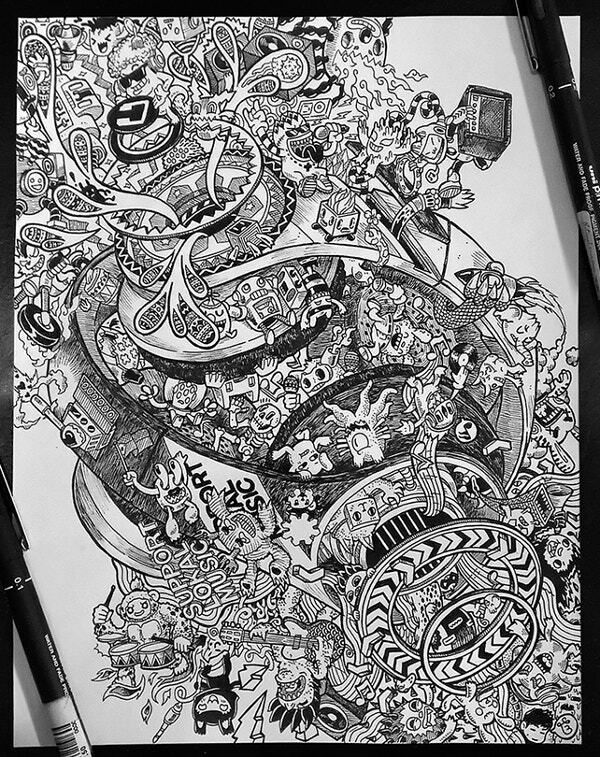 This hand-drawn doodle art represents elephants in a manner which we do not see often. 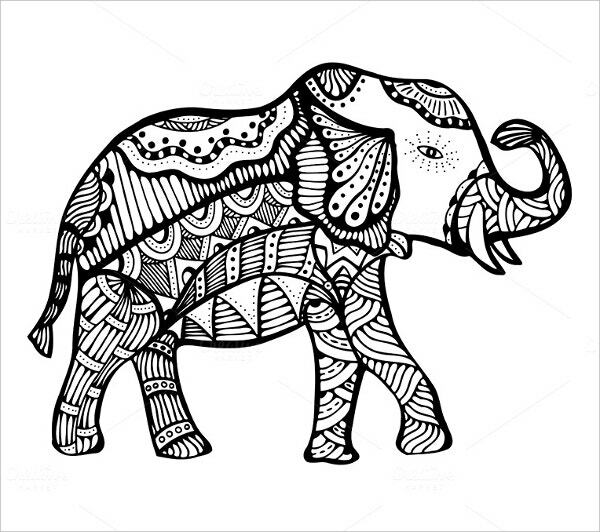 The whole body of the elephant has been drawn with a variety of designs, which gives the animal a royal look. 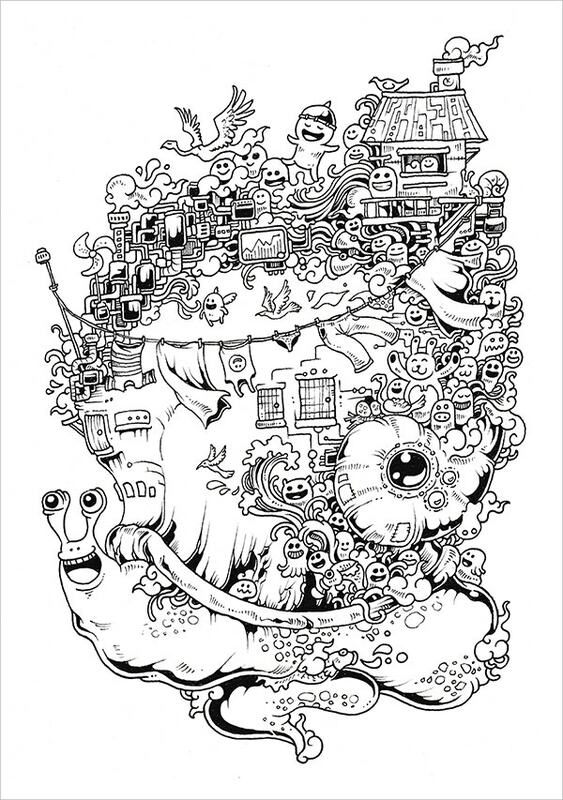 This Doodle Invasion Coloring Book has an awesome collection of detailed doodles and illustrations. 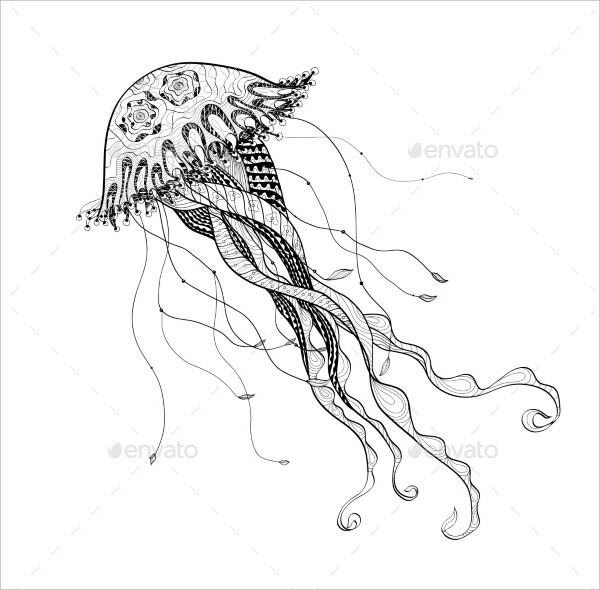 Here you will find drawings of imaginary spaceships accompanied by some interesting characters, which gives them a unique look. 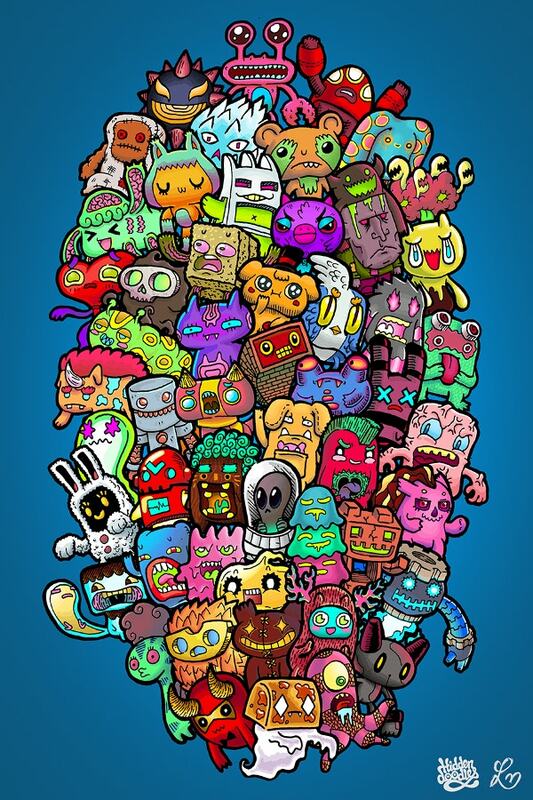 Nobody is sure about the existence of monsters in real but, nevertheless, it fascinates our imagination unlike any other. 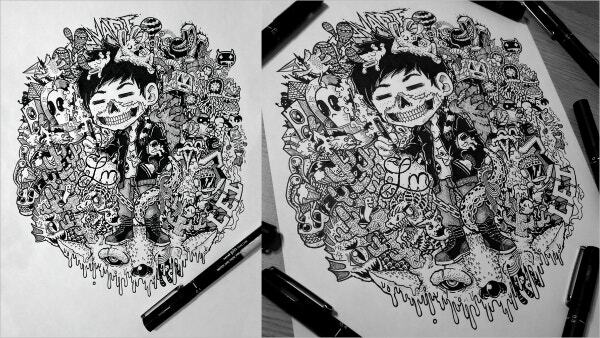 In these drawings, the artist has spent a considerable amount of time in detailing. 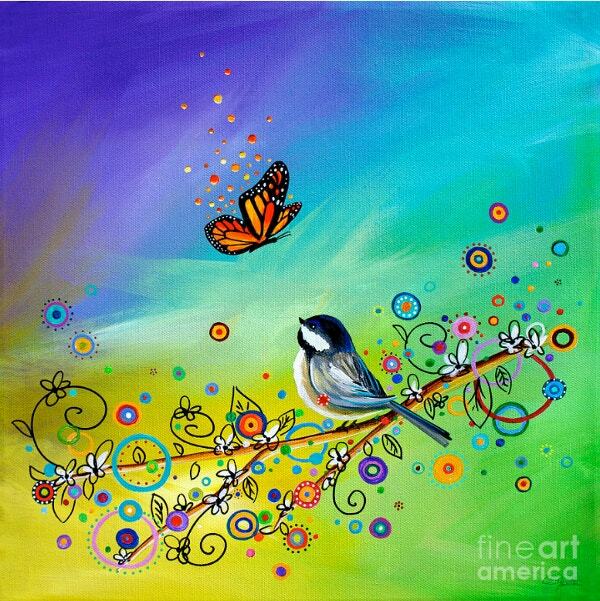 Use of different colors, shapes, and structures, gives them a polished look. 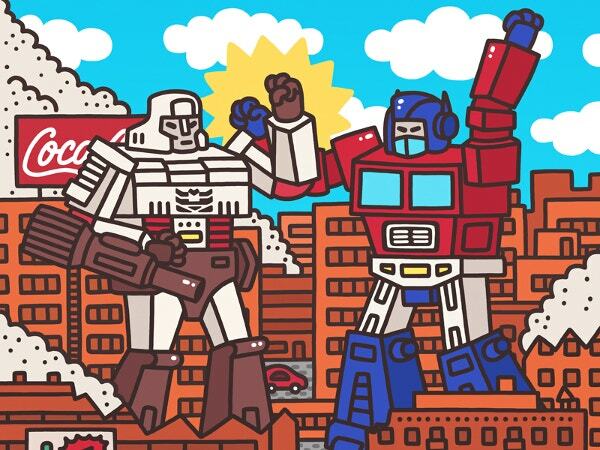 There is no denying the fact that we all love cartoons and we can find the existence of cartoons in so many designs. 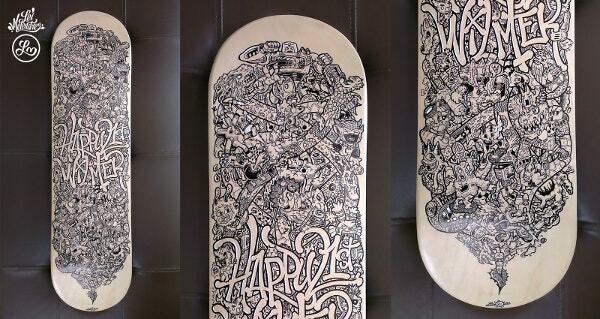 In these designs, you can see a set of hand-drawn graphics with creative designs. 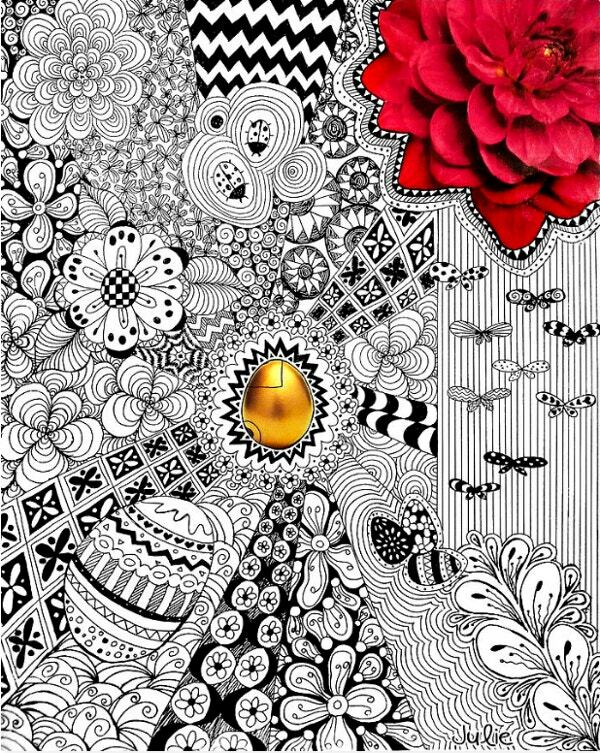 These design patterns can be used for various reasons like backgrounds, gift packs, wallpapers etc. 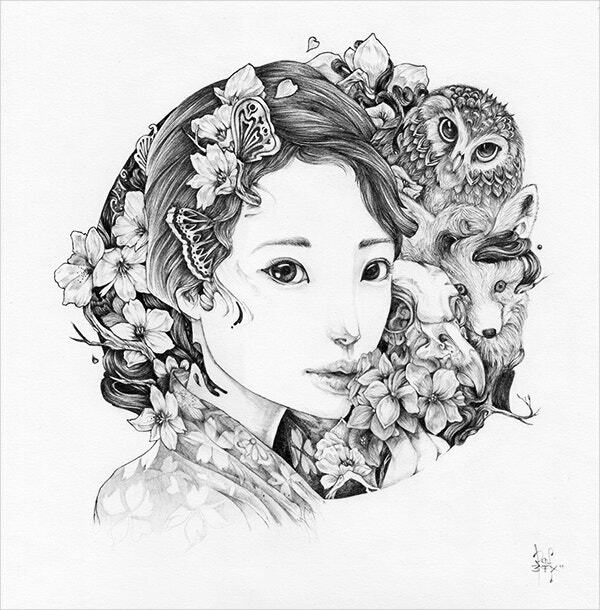 Using graphite on paper can be the best medium for doing portraits, as it gives a classy and elegant feel to it. 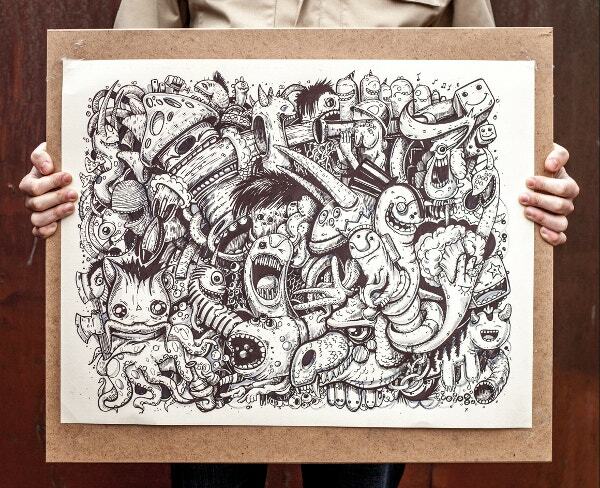 Here the artist has tried to display varied emotions through his drawings. 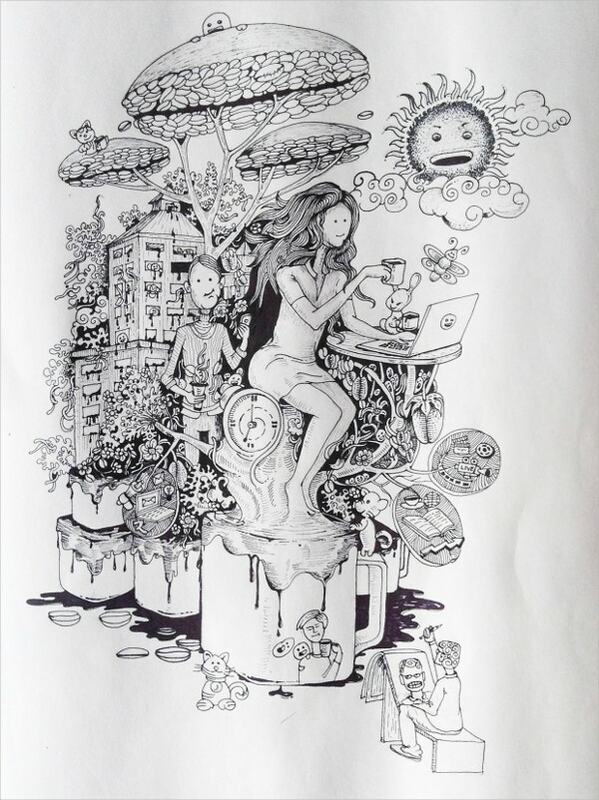 In this doodle, the artist has used various symbols, alphabets and has drawn an image of a lady and this makes the drawing appear surreal. 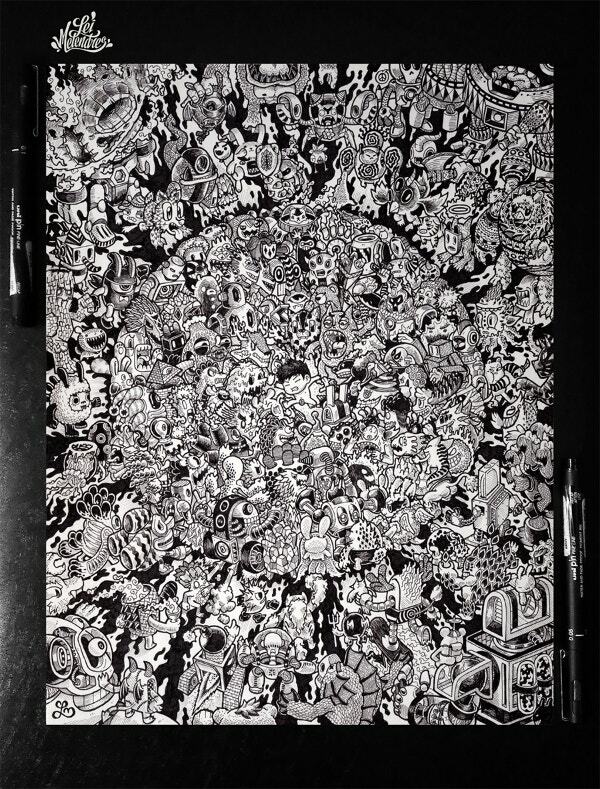 Doodles can take any form that comes to the mind. 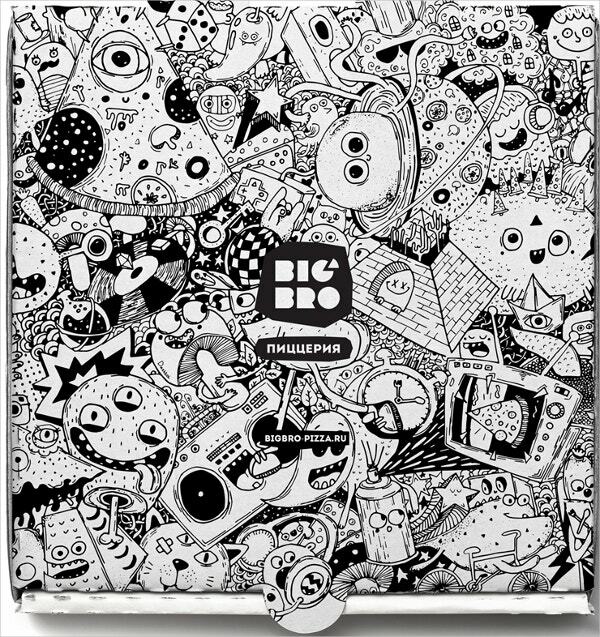 The Big Bro Pizza doodle showcases a few artistic designs made with different pizza-shaped drawings. 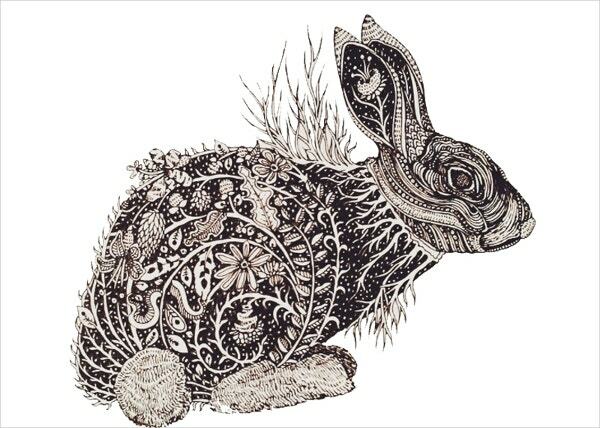 You can see various patterns which can be used as designs for different printing purposes. 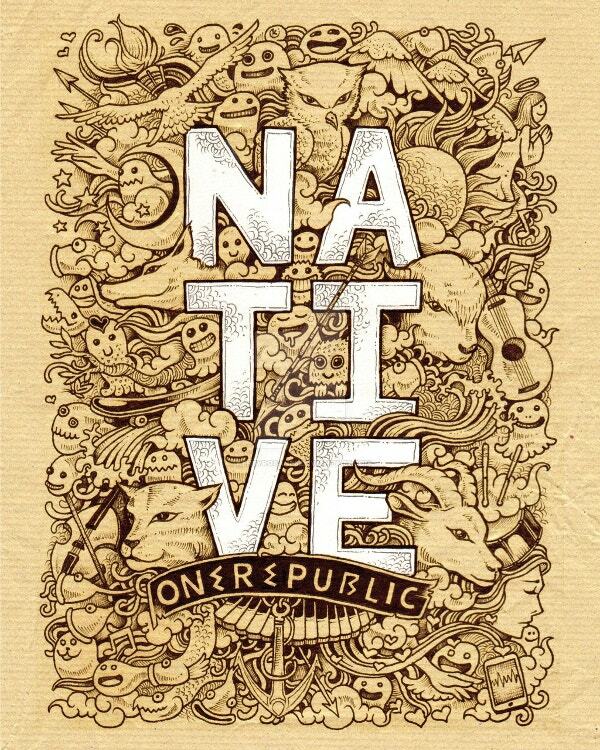 Native Doodle Art Design is one of the finalists in the poster design contest for the brand OneRepublic in celebration of their awesome album ‘Native”. 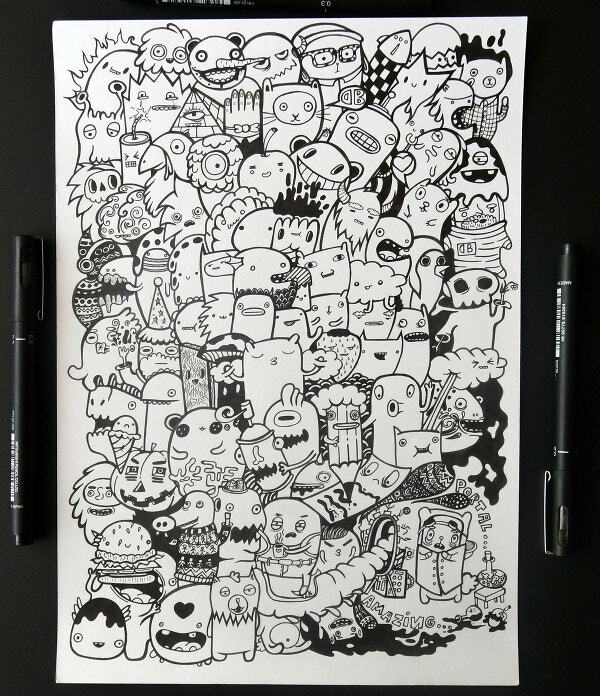 It is a fine example of doodle art which shows different expressions of animals. 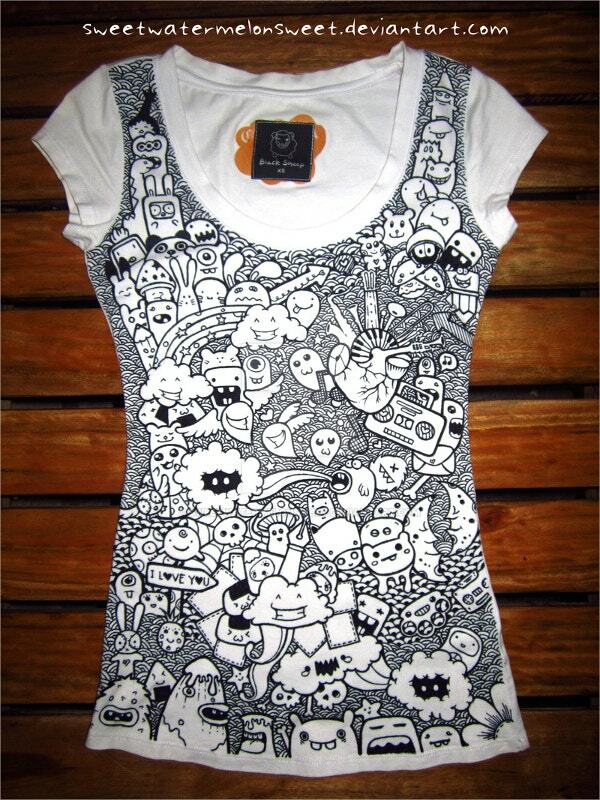 Doodle art on t-shirts is very popular around the world. 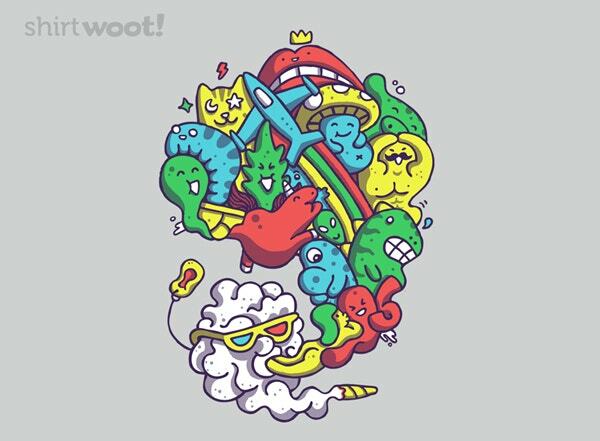 Who wouldn’t like to have a t-shirt with a unique design pattern on it? 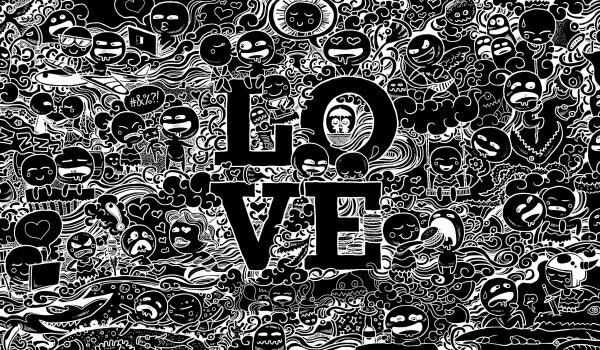 Here, you can see black and white designs made on a white-colored t-shirt which looks beautiful. 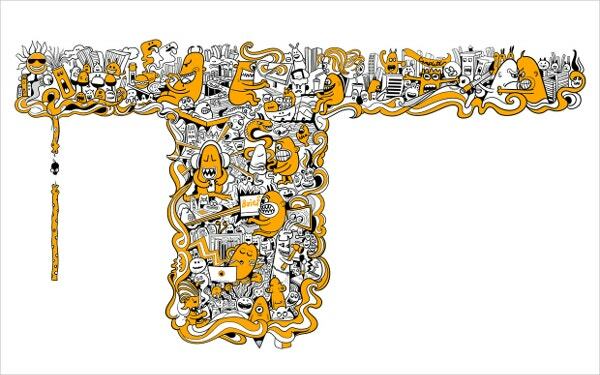 People love to wear a t-shirt with different design patterns and it’s a trend that’s going on quite some time. 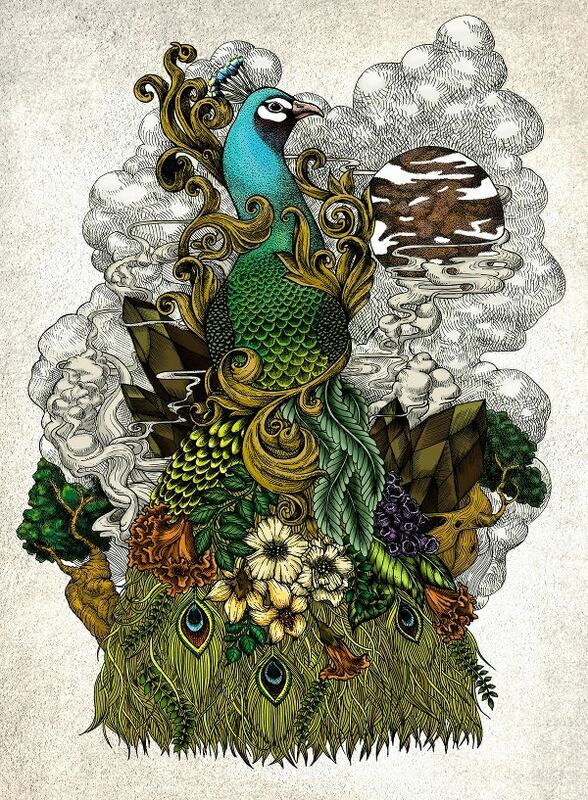 Here, the artist has tried to create a unique design through his creativity. 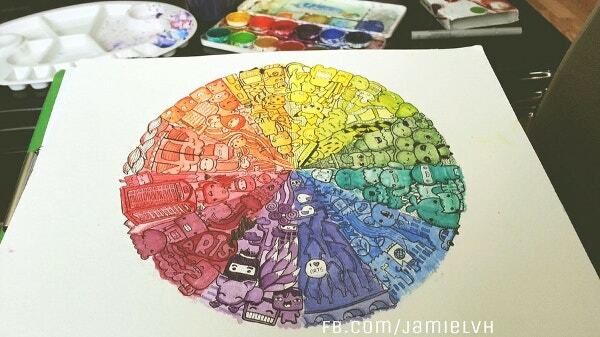 He has drawn a pic of a young girl and has used different colors in it. 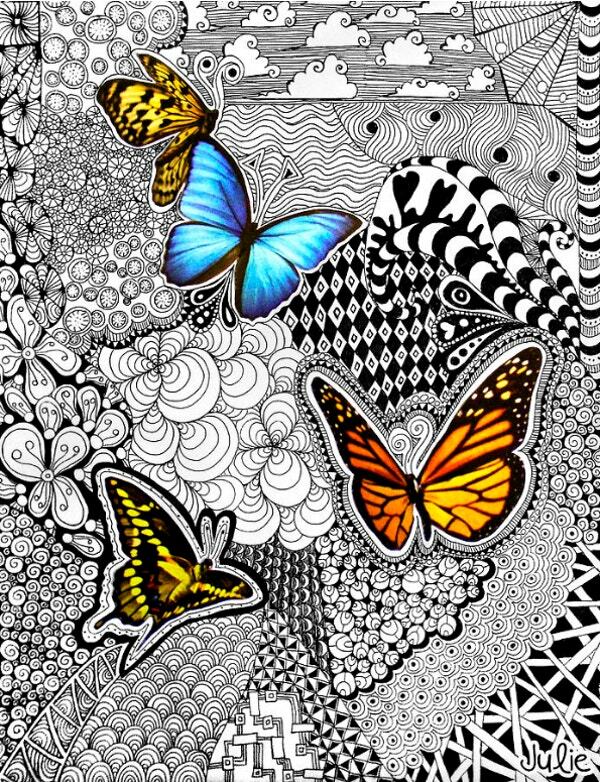 Doodling is a great, fun way of expressing yourself. 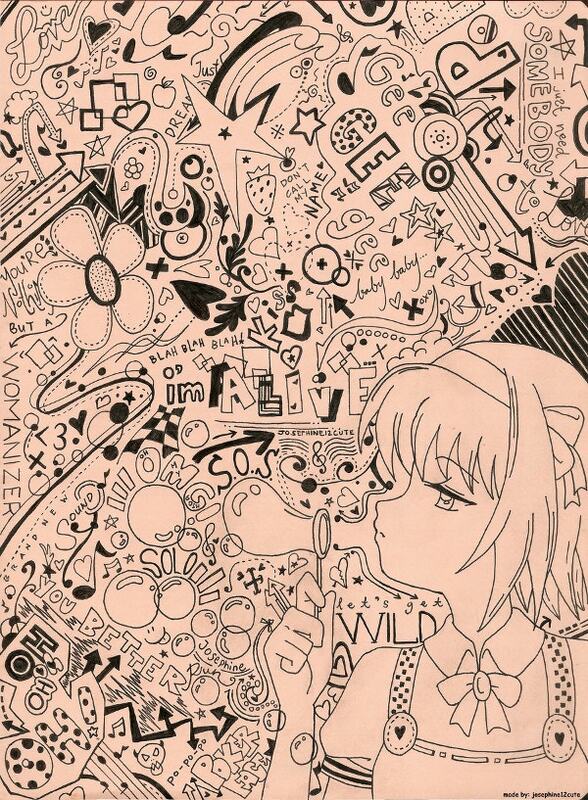 We can find typical examples of doodling in school notebooks, drawn by students who are bored and lose interest during class. 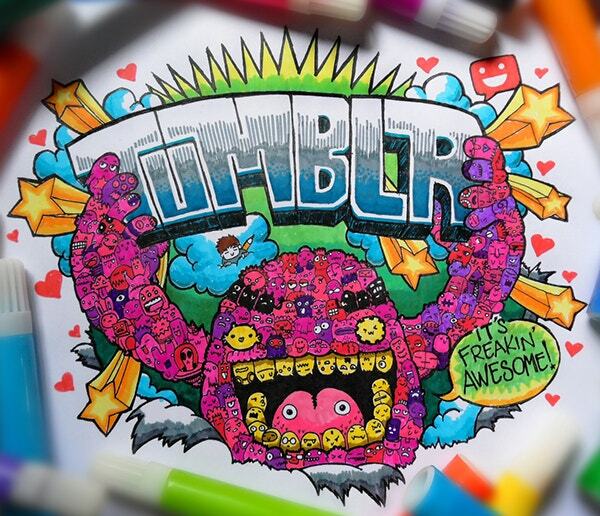 Doodling as an art form is very underrated, yet it is the most common form of art. 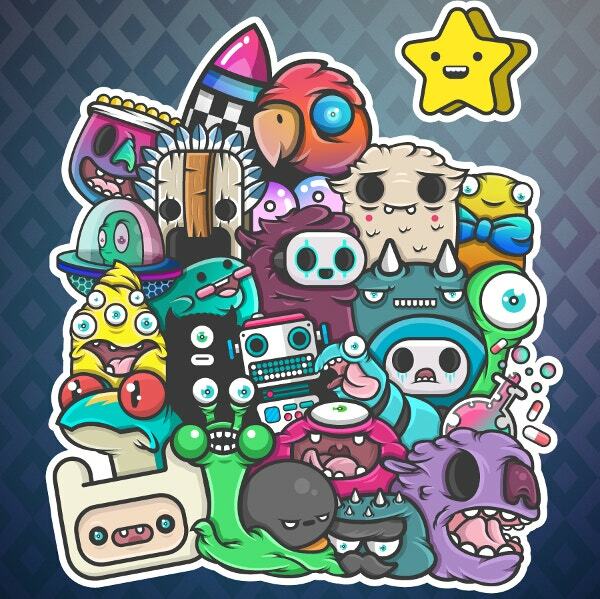 25 Stunning 2D Art Designs!